One of a Kind. Each Pillow is different. 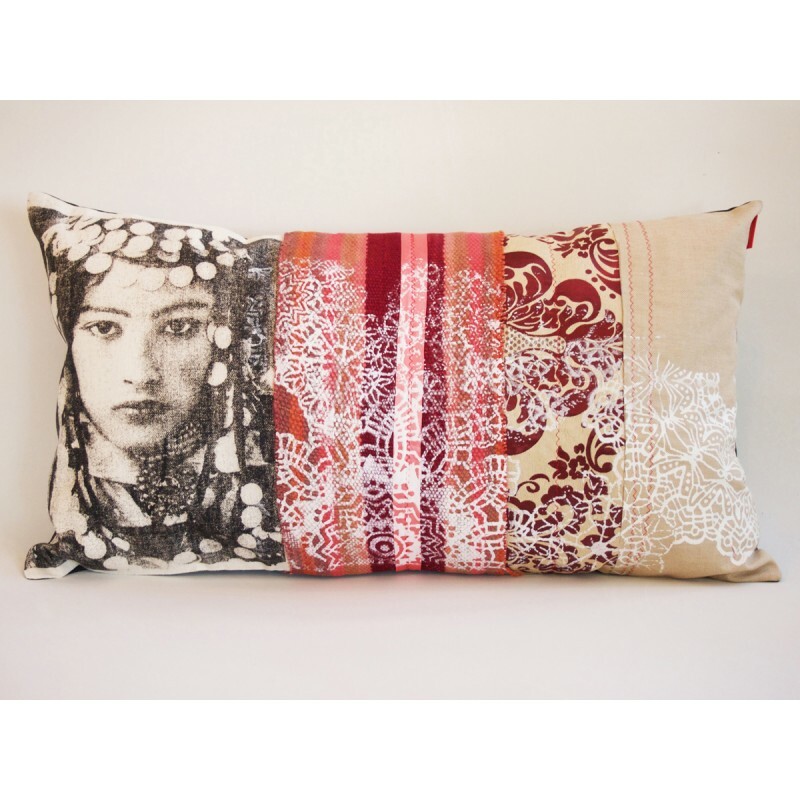 Choice of materials, color association, and unexpected patchwork of different weavings and a face’s screen-printing give this cushion a unique and authentic style. Its evocative presence in your bedroom, living room,… opens up on another world.